What is an example of the double jeopardy clause prohibiting multiple punishments for the same offense? The U.S. Supreme Court’s decision in Brown v. Ohio (1978) provides an excellent illustration of the Double Jeopardy Clause in action. County prosecutors initially charged Nathaniel Brown with joyriding. He pled guilty and served 30 days in jail. Upon his release, prosecutors charged him with the more serious crime of auto theft. Brown’s lawyer contended that this subsequent charged violated his client’s right to be free from double jeopardy. The Supreme Court applied the Blockburger test—derived from Blockburger v. United States (1932): “The applicable rule is that where the same act or transaction constitutes a violation of two distinct statutory provisions, the test to be applied to determine whether there are two offenses or only one, is whether each provision requires proof of an additional fact which the other does not.” Applying this test, the Court determined that joyriding and auto theft constituted the same offense. 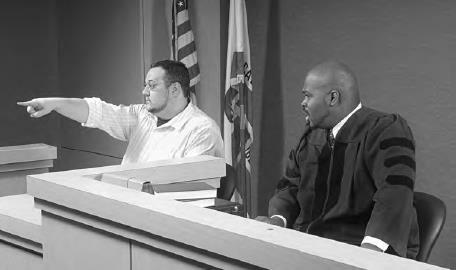 When giving testimony, you are protected by the Fifth Amendment from self-incrimination, which means you cannot be forced to say anything that could make you look guilty (iStock).